LAFAYETTE, CA--(Marketwire - February 4, 2010) - California Bank of Commerce (OTCBB: CABC), a unique commercial bank in the San Francisco Bay Area targeting closely held businesses and professionals, today announced the hiring of Rick Harbaugh as a Senior Vice President in commercial banking. "California Bank of Commerce had a noteworthy 2009 with Total Assets increasing by 41% to $194 million. We fully expect to continue attracting new quality clients and grow our loan and deposit base in 2010. Hiring experienced bankers like Rick is integral to our growth strategy and augments our strength in the middle market. He brings a wealth of commercial banking experience and long-standing relationships with businesses throughout the Bay Area," said John Rossell III, President and CEO of the bank. 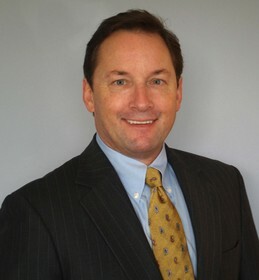 Prior to joining California Bank of Commerce, Mr. Harbaugh was Vice President, Corporate Banking for U.S. Bank in San Francisco where he provided relationship banking to middle market businesses located throughout the Bay Area. During his fifteen years in commercial banking, Mr. Harbaugh held similar positions at City National Bank and Union Bank of California. "California Bank of Commerce will enable me to continue developing long-term relationships with clients, in a responsive, entrepreneurial environment. The Bank has a remarkable reputation for its commercial lending expertise, exceptional personal service and state of the art operations technology. California Bank of Commerce provides its business clients with access to senior management empowered to make the decisions. This allows me to serve my clients quickly and effectively," said Harbaugh.